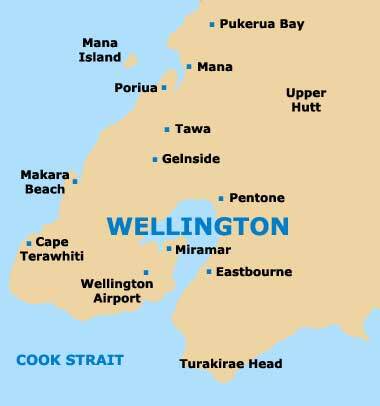 Walking / hiking in New Zealand is generally referred to as 'tramping' and this has become a hugely popular recreational attraction in Wellington. 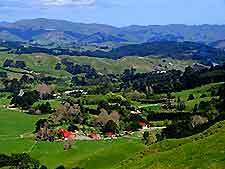 Many much-plied tramping trails are based close to the city and encompass picturesque hills, breathtaking coastal views, bushland and forested areas, with the Hutt Valley and the Lower Hutt in particular affording some great pathways, along with the village of Pauatahanui and the town of Paekakariki, on the Kapiti Coast. Around the city are a number of popular self-guided walking trails, which lead sightseers past some of the most noteworthy buildings in Wellington. The Maritime Heritage Trail is one such route and lasts in the region of one hour, while the somewhat longer Old Shoreline Walk connects Lambton Quay with Oriental Bay. Guided tours are also available at times, although a charge is usually payable to the guide. In the Hutt Valley area, the Airstrip Walk takes around two hours and passes through many local scrublands, fields and scenic areas. Lasting up to two hours, the Battle Hill Summit Loop Walk contains many historic sites, streams and paddocks along the way. The Belmont Trig Walk features a wealth of picnic opportunities in the Hutt Valley area, together with spectacular views across the whole of Wellington, and takes around three hours. With many popular tramping trails around the Eastbourne area, the Butterfly Creek Trails include hill climbs and harbour views. Lasting up to four hours, the Cannon Point Walkway takes in beautiful scenery around the Hutt Valley region, including the Birchville reservoir. Taking no more than four hours, the Eastern Walkway contains impressive views of the harbour area and New Zealand's nearby South Island. The Inland Track travels along the Kapiti coastline, with many green areas, large amounts of native flora and fauna, views and picnic spots, and lasts around two hours. Taking less than an hour, the popular Johnsonville Park Walk is part of the Northern Walkway. The Khandallah Park Walk contains trails around Mount Kaukau, offering panoramic views of the city harbour. 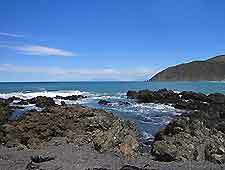 Close to the city, the Makara Walkway comes with a number of coastal trails, taking up to four hours. The Maritime Heritage Trail heads along the harbour coastline and around the Lambton Quay area, and takes around one hour to complete. Taking up to four hours, this popular walking trail passes through a number of parklands, gardens and suburbs on the northern side of the city, being based around Thorndon. A two hour walk between Oriental Bay and Lambton Quay, with many historic monuments and heritage buildings en route. In the nearby Hutt Valley area, the Orongorongo Track is a picturesque four-hour walking trail ending at the Orongorongo River. Lasting around two hours, the Pencarrow Coastal Trail has scenic paths along the coastline around the city's Eastbourne district and passes the Pencarrow Lighthouse. The Rimutaka Incline is a disused railway track in the Wairarapa area, on the outskirts of the city, where it is surrounded by a wealth of native flora and fauna. 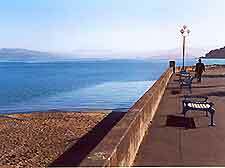 The Southern Walkway starts at Oriental Bay and lasts between three and four hours, incorporating a number of splendid coastal views and scenic beauty spots along the way. The Te Aro Heritage Trail takes no more than two hours to complete and covers historic Maori areas in the Cuba Street region. A favourite with locals, the Waterfront Walkway lasts around two hours and travels along Queens Wharf and the stunning Oriental Bay.